Our base is outfitted with all the requisite amenities that are needed to manufacture this range in diverse specifications and maintain high quality standards. 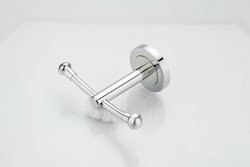 We are a unique entity in this industry, actively engaged in offering a premium quality array of Rob Hook. 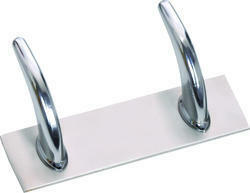 We are manufacturer and exporters of home and office furniture fitting item Double Robe Hook. We can supply very good price with best quality, our registered brand name is home discovery furniture fitting.